Everyone should be able to afford a trip to Disney. While there are multiple ways to splurge on a Disney vacation, there are also tons of ways to save. 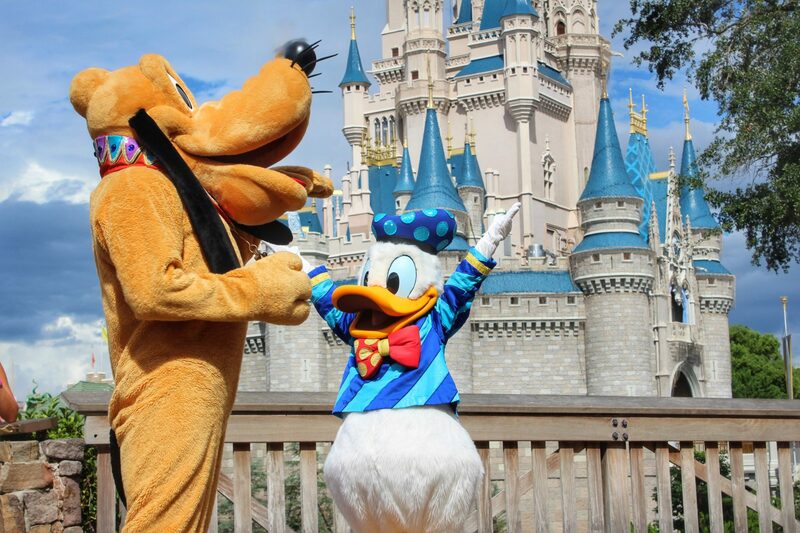 Here are my tips for how to save money on a Walt Disney World vacation. Disney tickets and hotels fluctuate with peak seasons. If you plan a trip during summer months, spring break or winter vacation, be prepared to pay top dollar. An easy way to save money on a Walt Disney World vacation is to book during the off season. General rule of thumb is to book when school is in session. My favorite time to go is January and February. The crowds are low, the weather is cool and there’s hardly a chance of rain. For Florida residents, I recommend buying the Weekday Select pass, if you’re on a budget. 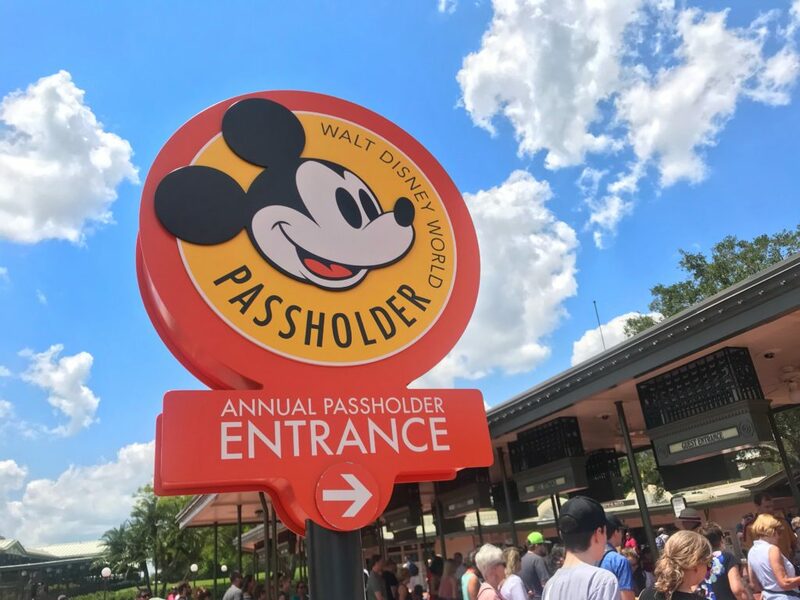 It is close in price to a 4 day pass but includes all the perks of being an Annual Passholder. Passholders receive 10% off merchandise and discounts on select dining options, in addition to free parking and other perks throughout the year. This pass works on weekdays only and has several blockout dates including summer, spring break and the weeks before Christmas and New Years. However, those are the busiest times to visit Walt Disney World. If you have a Target Red Card, you can purchase Disney Gift Cards with 5% off. Buying cards in increments helps you budget for your vacation. The cards can then be used to purchase tickets or food while in the parks. Around Black Friday, Target usually offers 10% off their own gift cards which provides even more savings. An easy way to save money is to skip the souvenirs in the parks and buy cheaper alternatives to bring with you. 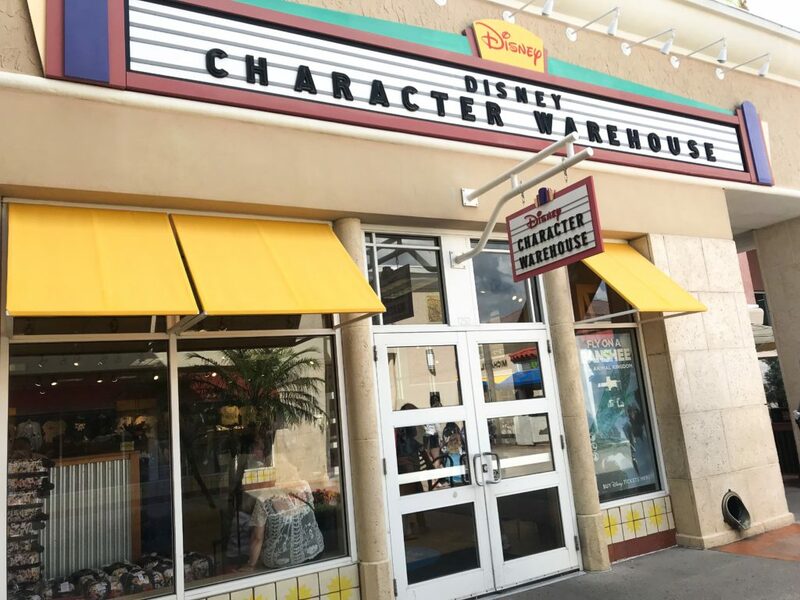 There is a Disney Character Warehouse store at the Simon Orlando Premium Outlet Mall that sells clearance merchandise from the parks. While the outlet items vary each visit, I have found deeply discounted Princess Dresses for my girls, adorable fashion for myself, Mickey Ears, mugs, magnets, Magic Bands, and more. Everything is authentic Disney merchandise for usually 30-50% off park prices. I have even found things on sale at the outlet that are currently being sold in the parks. Local Wal-Marts and Targets in Orlando also have plenty of affordable Disney souvenirs. You can buy autograph books ahead of time or check out these alternatives. Purchase glow sticks from your local Dollar Tree or order them online. You can even order Disney pins online to pin trade while at the parks. Chase often runs promotions when you sign up for a Disney Chase Visa card. You can earn a $200 statement credit when you spend a certain amount in the first 3 months. Not only do these funds help pay for a Disney vacation, but you can also earn and redeem reward points for more Disney gift cards. 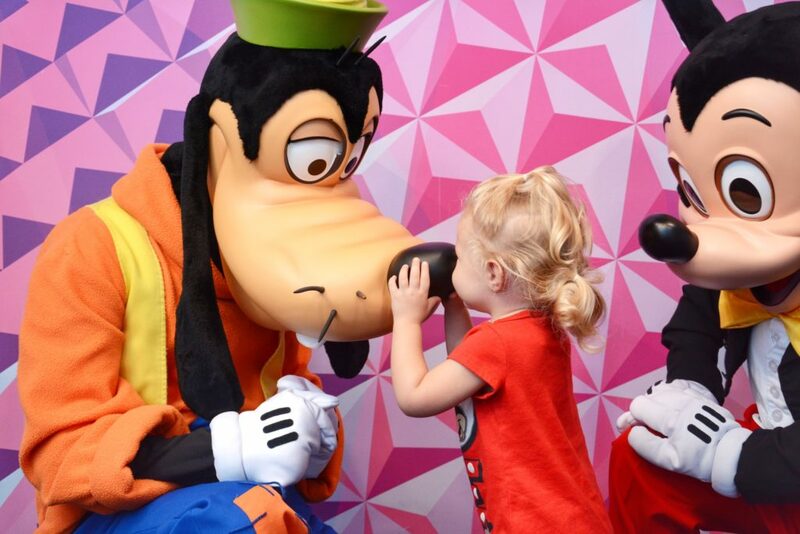 There are also exclusive character meet and greets for Disney Chase Visa cardmembers in Epcot (Mickey & Friends) and Hollywood Studios (Star Wars Launch Bay) as well. See the other reasons why you should become a card member. Disney’s Value Resort Hotels are themed and fun for kids at a great price. We love Art of Animation. Pop Century and Allstar Movies are also pretty neat. Disney Resorts are a great option if you want to take advantage of extra park hours. 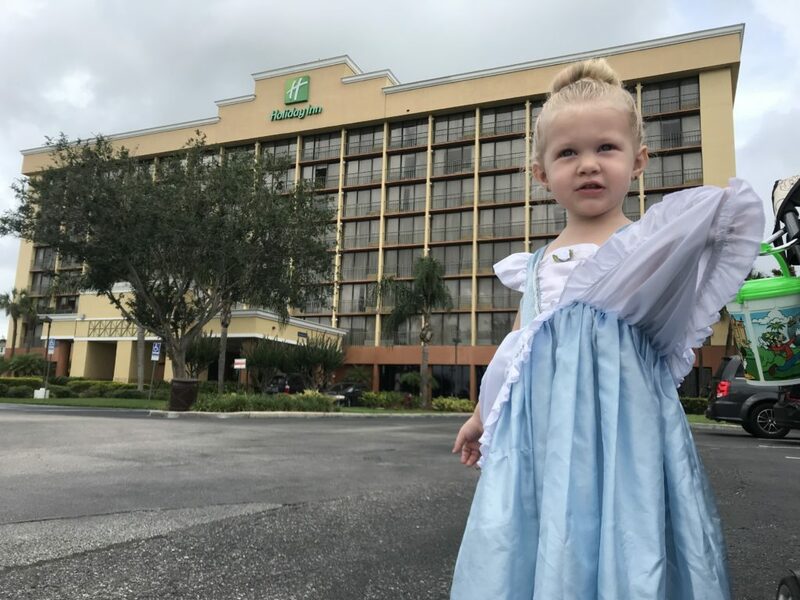 If you’re looking for a more ‘adult’ friendly hotel, check out the list of Good Neighbor Hotels which are all centrally located to Walt Disney World and are Disney approved. These are the cheapest option but won’t include transportation to the parks (some do) and Magic Hours. If you’re traveling with a large party, check into house rentals in the Orlando area. They’re often a better bang for your buck and there are plenty of options that are close to Disney property. Another great way to save is by packing snacks. Disney allows food and beverages to be brought into the park. However alcohol and glass of any kind are prohibited. I recommend bringing pretzels, fruit, peanut butter crackers, cookies, etc. This saves money on snacking in between meals. You can also ask for free ice water from any restaurant that has fountain beverages, or bring in your own water bottles. 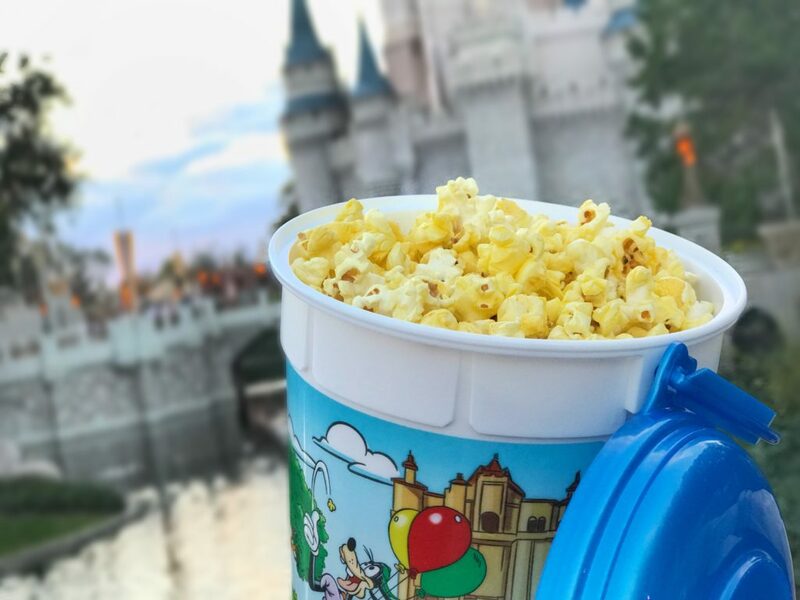 If you want to splurge, purchase a souvenir popcorn bucket. They are cheap to refill and are valid at all four parks for the full duration of your visit.